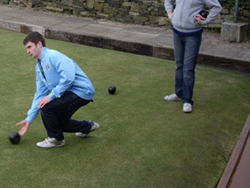 Tintwistle Bowling Club competes in a variety of different leagues throughout the week and is always looking for new members to join. The club holds open days every Saturday at 10:00 for anyone who is interested in playing. Feel free to attend the open days if you have played bowls before or have never played but always wanted to give it a go. The open days are completely free and all equipment will be provided by the club on the day. Our main aim is to have two teams competing in the respective leagues in five years, as well as junior teams in order to develop younger players and get more youngsters involved in sport. 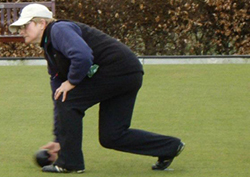 Although bowls does not appear to be the most physically demanding sport, it does require a lot of walking and, depending on how often you play, could lead to up to three hours of physical activity a week. 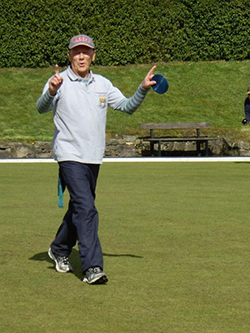 We understand that bowls carries the 'old people' stereotype and that it may not be very fashionable for younger players, but we want to change that. The amount of people under the age of 18 now playing the sport has increased significantly over the past few years because of the social aspect. Because we compete in so many leagues, there is always something going on. 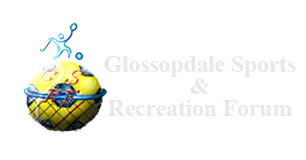 The club has also taken to social networking sites Twitter and Facebook in order to generate more interest and attract new members. Bowls is fun, cheap and easy to play. So come and give it a go, you might like it.